While busily announcing the new Moto E, Motorola has also seen fit to unveil an update to its much-loved Moto G handset: it's giving it 4G smarts. The device is much the same as the original Moto G, but with the addition of a microSD slot and the new 4G connection topping things off nicely. Bloatware haters will be pleased to hear it's coming with Android KitKat and no extra bells or whistles, while the colour options for the front are black or white. The Moto G 4G is launching in the UK in "the coming weeks" with a price-tag of £149 - that's £50 more than the 3G edition. 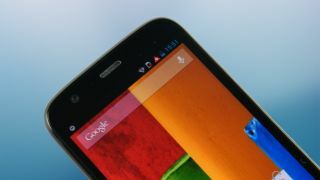 In the US, the Moto G will launch with 4G LTE for $219. No word on an Australian launch yet, but it should come in at around AU$270 if/when it does.